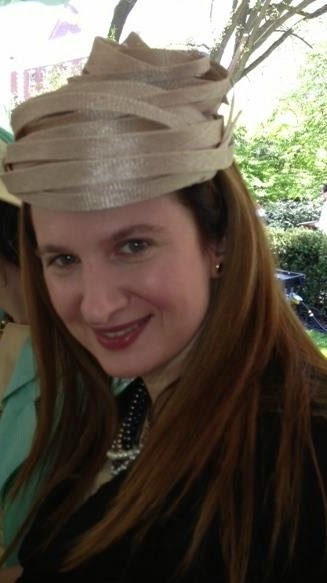 Every year since 2007 I have attended the Central Park Conservancy's Frederick Law Olmstead Awards Luncheon, affectionately known as the Hat Luncheon. This annual luncheon is one of the most fabulous events in the New York social world and is an incredible spectacle of over a thousand colorful hats sitting atop the perfectly groomed heads of beautifully turned out women. Standing at the top of the steps as you enter the Park it is truly a sight to behold. 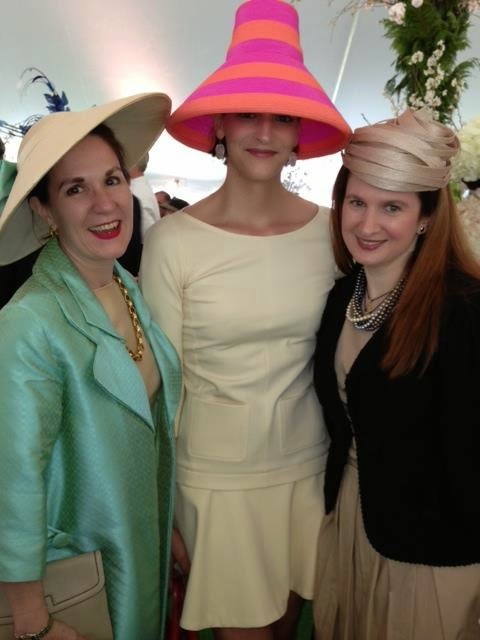 I love this luncheon and I have so much fun seeing all the pretty hats. It's almost like New York has time shifted backwards sixty years when elegant ladies wore hats every day and civility was the norm. 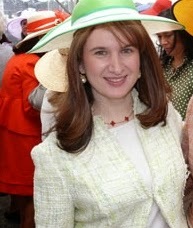 I've had a love affair with hats for a very long time, so I already had a small collection before I started attending the luncheon. Most years I wear a hat I already have, but every few years I've treated myself to a new hat. 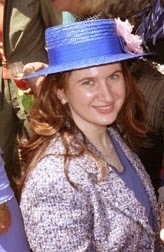 I'm partial to fascinators these days, probably because Kate Middleton has made them so appealing. I also find them easier to wear, because they sit on top of the head instead of encompassing it. Like many women I plan my outfit around my hat. And, I usually start thinking about it a year in advance after being inspired by seeing everyone else's hats at the luncheon. 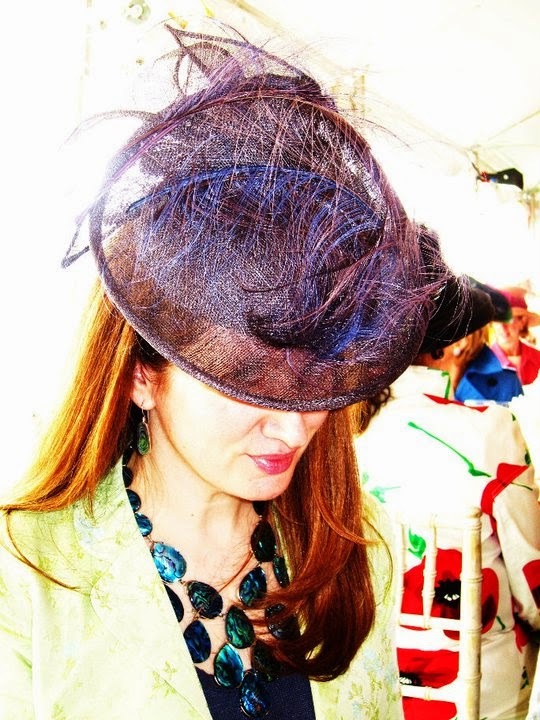 The luncheon is always the first Wednesday in May and I've already got my outfit picked out, except that this year my hat will be a custom made fascinator! My friend, Tracy Young of Millinery Treasures, is making me a hat for the big day. 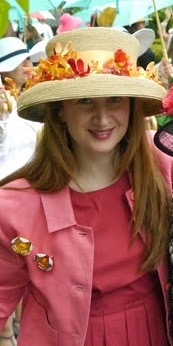 Tracy is a children's clothing designer (her company is A Little Indulgence) and a milliner, trained at FIT. Tracy attended the lucheon last year and will be there again this year, so this is going to be very exciting! Over the next six weeks I am going to be blogging updates on my new hat as Tracy makes it from scratch. She's going to send me photos and I'll post them so we can see how a hat is made step by step. The final outcome is going to be a bit of a surprise for me, but I totally trust Tracy. She likes tasteful and elegant, as do I. Step One: I told Tracy that I wanted a red fascinator made of sinamay, that dipped down over to one side. I sent her a photo of a fascinator I already have to give her an idea of what I like, but told her instead of feathers I wanted some sinamay curlicues. Step Two: I had to measure my head. Tracy sent me this video and I had a friend take the measurements. http://www.youtube.com/watch?v=vGgZfn3OxmQ . I also checked my receipts from old hat purchases for sizing, because I'm not an expert at measuring my head and I have a lot of hair that can get in the way. Our measurements and the old receipts were pretty close. I will post more hat making steps as they come in. And, if anyone would like to inquire about Tracy making a hat for the upcoming luncheon or other occasion she can be contacted via email: tracy@millinerytreasures.com . I'll close with a few photos of me (several which appeared in social media) at past CPC hat luncheons and the hats I've worn. 2013 view from the top. I call this one "the Mummy."